"Hi. 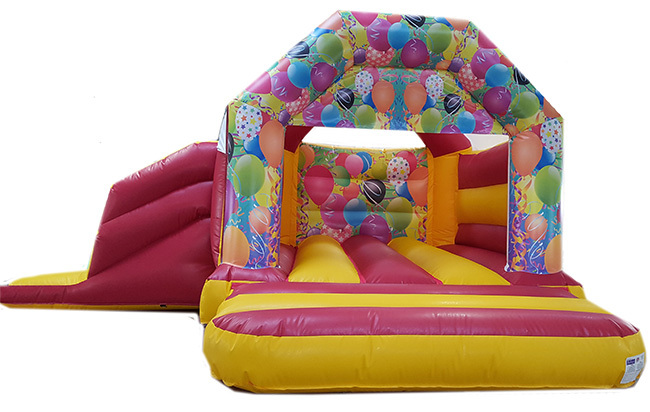 recieved the two bouncy castles today that we ordered with pineapple leisure. one word WOW!!! such a great service from your company from ordering to delivery. Hopefully if things go the way we are planning we will definately be buying more castles and would not buy them from anyone else. thanks to you all for a fantastic job"
"More than happy with everything - thank you very much they worked brilliantly! Will definitely keep you in mind for future work!" "Bouncy Castles have arrived today, they are perfect thank you!" "I would just like to say a big thank you for all the help you provided me in the set-up of my business." "They have excelled my expectations"
"I have used Pineapple Leisure for 7 years FANTASTIC!" "Great help, aftersales and great inflatables!" "My girlfriend and I brought 3 castles from you in December. Firstly we want to say a huge thank you to you and your team! The castles are fantastic - exactly what we needed to get ourselves up and running! Really happy with the quality of all the extras we feel chuffed that we got ourselves a really good deal! Also, we watched your DVD! Very informative! Thanks for your time, hope you and the family had a good Christmas"
"More than happy with everything - thank you very much they worked brilliantly! Will definitely keep you in mind for future work! "Castle is amazing, very pleased thank you so much the kids was blown away by the size. They think it's great so cant thank the pineapple team enough. The garden games were a big hit as well. Many Thanks"
Manufactured with 610gsm double sided flame retardant industrial strength UK made coated PVC material. Quadruple stitched with rot proof thread and reinforced on stress points. Webbed beds and steel anchor points. You can have your name and number added for extra advertising. Our units are either superbly hand painted by craftsmen or printed using the latest technology digital printers. or click PAY £200 DEPOSIT NOW to order!